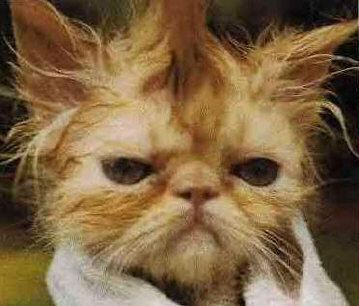 Looks like me after going shower!!!! Doesn't he look so smart??? Aaaahh come on, My... you mean the glasses look like yours..
Not just the glasses , also the jaw-line, and maybe a little bit the eyes too. After they've finished, another Zoo visitor said: "Do you want a cigarette now?"